The Gentleman Journalist has been going to the L.A. Auto Show for years now, since he was a wee lad living in the wilds of Tarzana, back when I was known as ‘The Gentlekid Journalist.” Every year since my youth, it seems the Los Angeles show gets larger and larger. This may be due to the fact that as the industry creates more and more opulent vehicles, Los Angeles has become the epicenter for where the automotive brands launch their new and ever more so insanely awesome vehicles, as really, L.A. is the market. Case in point: my unequivocal list of super-luxe cars that are must sees at the 2015 Los Angeles Auto Show which runs from Saturday, November 20 to Sunday, November 29. 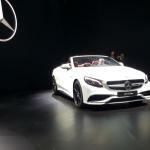 Mercedes shows three new models at the LAAS this year. A refreshed SL convertible, a tricked out C63 AMG S Coupe, and, my favorite of the trio, their all new S-Class Cabriolet—which was shown in its S63 AMG guise. The S63 Cabriolet, for captains of industry or those that can afford the payment, could do no wrong with this S63. We loved the interior design—a riot of leather and carbon fiber—as well as the open super yacht feel of the ragtop. Total wants and desires in the Mercedes-Benz booth; if I had to pick one to own, I’d pick all three. 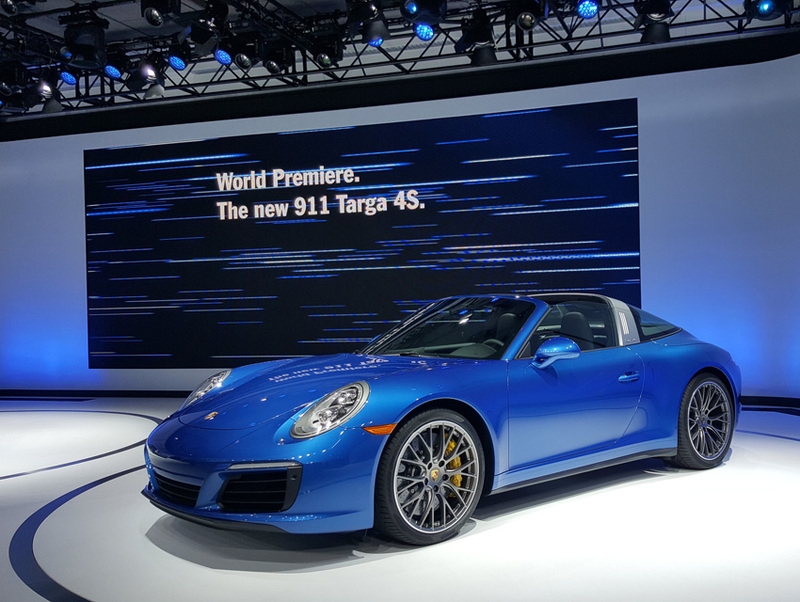 Porsche showed off their newest iteration of their 911—a 911 Targa 4S—and, for 2016, comes with their new turbocharged flat-six engine, a huge evolutionary step up for the brand. 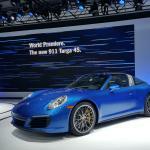 On sale early next year, the Targa 4S is as a perfect of a sports car as you’d ever want. Fast, lithe, and with all the comforts of a hardtop but with the bonus of a convertible. Best in show? Perhaps. The stuff I dream about. Totally! Caddy is going through a major change in focus and leadership and their all-new XT5, which replaces their best selling SRX crossover, is indicative of the brand’s new focus. ​”We look at the new XT5 as​ ​LA Luxe​,” Cadillac’s sharply-dressed Eneuri Acosta​ told me, “The XT5I is for the person who’s not interested in looking​ like​​ and driving what is in their neighbors driveway​.​ They value ​differentiation.” We like the new XT5—one of four new crossovers the brand will roll out the next few years. 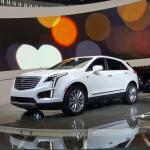 We have high hopes for Cadillac and think the XT5 is a great start to a new focus. An oddball car and perfect for the L.A. market. 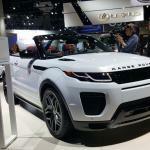 Land Rover thought, What if we took our small two-door SUV, the Evoque, and cut the top off? If you own a house is Malibu, it’s the perfect weekend car for you. Can’t wait to drive one when it goes on sale next year. We had a chance to preview the new Rolls-Royce Convertible, the Dawn, which is based off the smaller, yet still opulent Wraith. While it’s not small by any stretch of the word, it’s a perfect city car for those who lunch, want to hit the country club, or just signed a massive record deal. 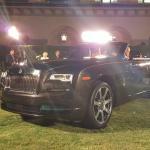 Expect to see a whole lot of these $300K Rolls-Royces on the mean streets of Bel-Air and Calabasas. Bentley showed off the Bentayga First Edition at the Sunset Marquis a few days before the show. The Bentayga, mind you, is their new $298,000 super-luxurious model, limited to just 75 SUVs sold to the Americas in their first year. Yes, $298K for an SUV. Who buys these? Does it matter as the rare-as-hen’s-teeth first edition is nearly sold out? Galpin Motors—one of the largest dealers in the Southland—has, the first time at the L.A. Auto Show, their own hall. 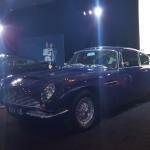 While they showed a wide array of their Galpin Auto Sports custom cars, what really caught our eye was the vintage Aston Martin DB6 on display—right hand drive, of course, because sometimes, what you need is a classic car to break through the show.